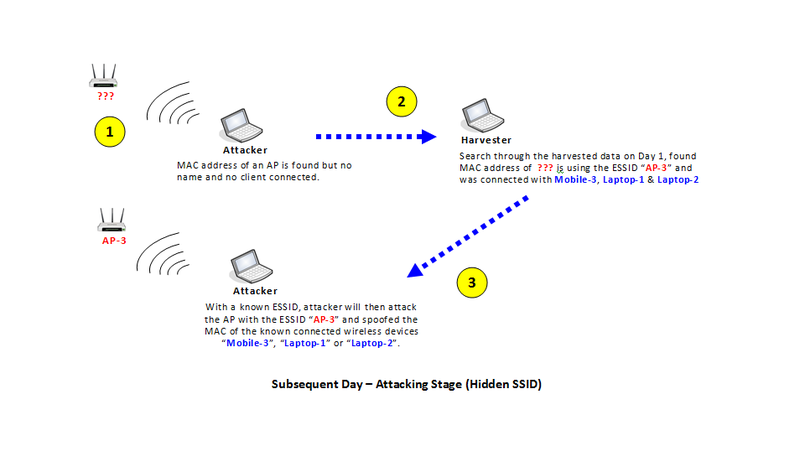 Although WIDS has the ability to detect and display wireless devices probing for specific ESSID in your surrounding but is not stored in a proper storage, I am planning to write a script that will collect data of all ESSID probed by wireless devices, Access Point found and also any wireless devices connected to an access point.. 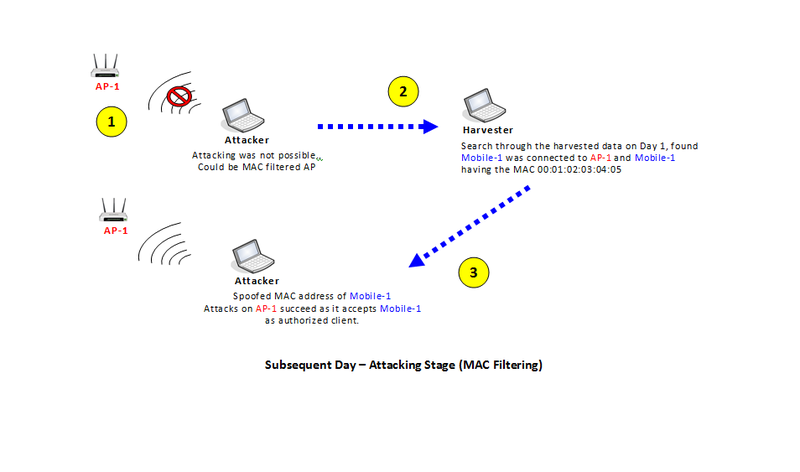 The script should be run in reconnaissance stage of wireless hacking and would prove useful if trying to attack on Hidden SSID / MAC filtered access point.. This is the initial stage which i would call it as reconnaissance stage where the Harvester will be running to collect all wireless data (probes names, access point's detail, connected wireless devices) and store it to a database directory. 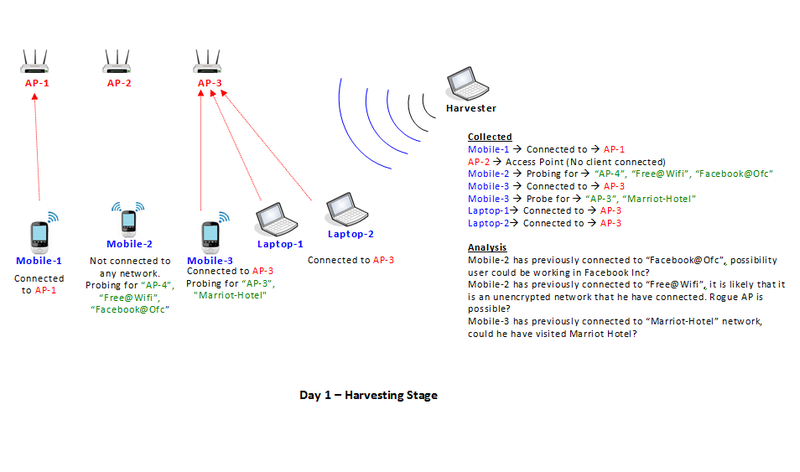 Also by basing on the probing SSID name, we would profile the person using the device with the unique SSID name it probe for such as "Facebook" or "Marriot-Hotel" as shown. As and when we need it, such as the situation below shown, it would definitely be useful when trying to attack an Access Point with "MAC filtering" enabled and no existing client connected. Come in handy when trying to attack a Hidden SSID access point and no existing wireless client around. 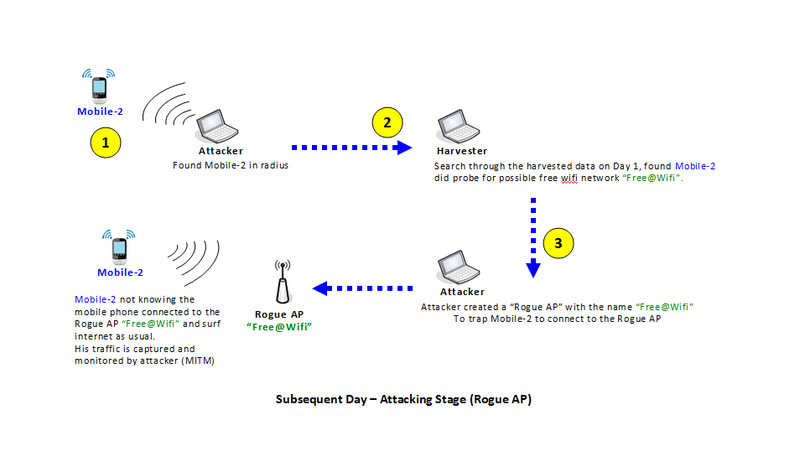 Setting up Rogue AP waiting for wireless client. Please visit https://www.facebook.com/syworks to support my page. Visit https://github.com/SYWorks/wifi-harvester for detail and source.